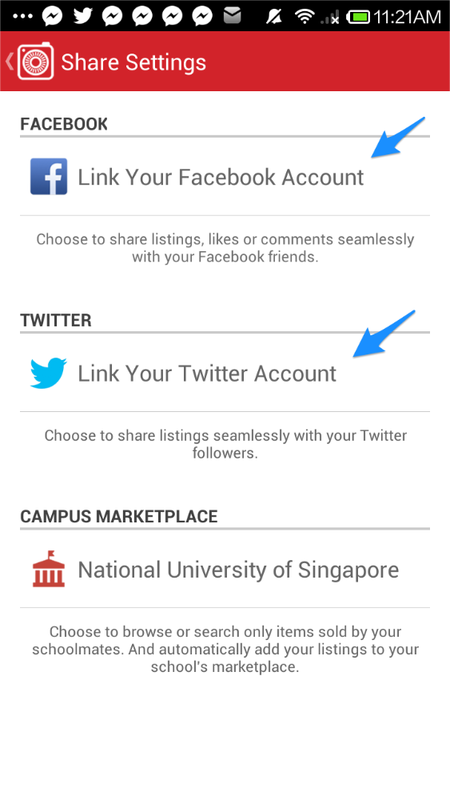 Share your Carousell activity with your friends by linking your Carousell account to Facebook and Twitter! This way, your friends will know what you're up to on Carousell and might just join you in the fun! Go to ' Me ' -> 'Share Settings' -> Tap on the 'Link Your Facebook Account' and 'Link Your Twitter Account' options. You can choose to enable Likes or Comments for Facebook sharing. Simply toggle them according to your preference!